The Intelligence and National Security Alliance will host the 33rd Annual William Oliver Baker Award Dinner June 9, 2017, at the Omni Shoreham Hotel in Washington, D.C. Robert S. Mueller III will be honored. 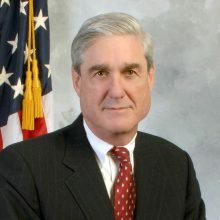 Mueller became the sixth FBI director on Sept. 4, 2001, one week prior to the attacks of Sept. 11. He is widely credited not only for leading the FBI during an extremely challenging time, but also with transforming the bureau from a traditional law enforcement agency to an intelligence-based national security organization.